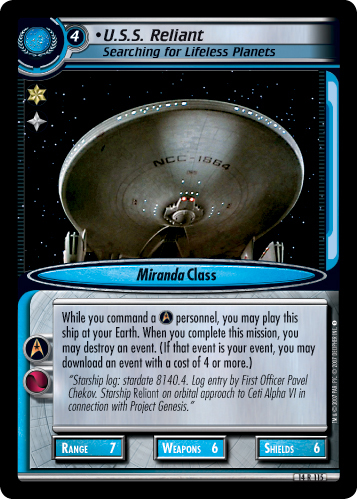 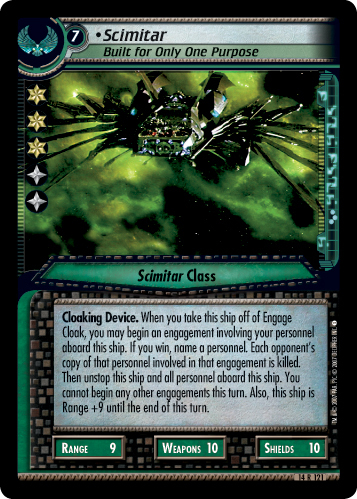 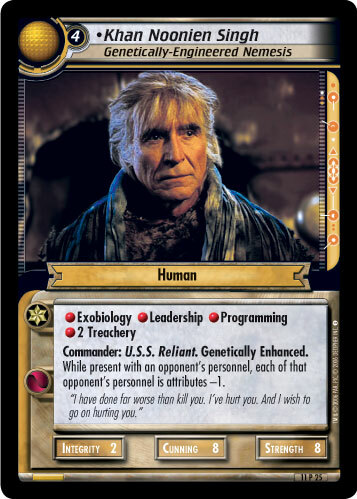 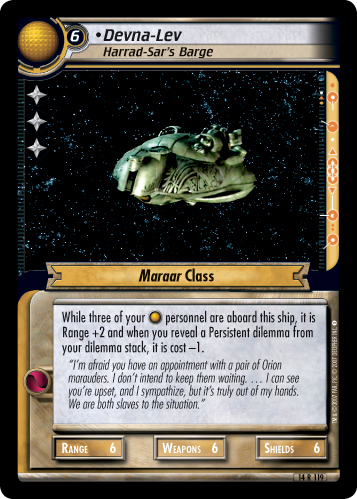 Order - Discard a personnel from hand to make this ship attributes +2 until the end of this turn. 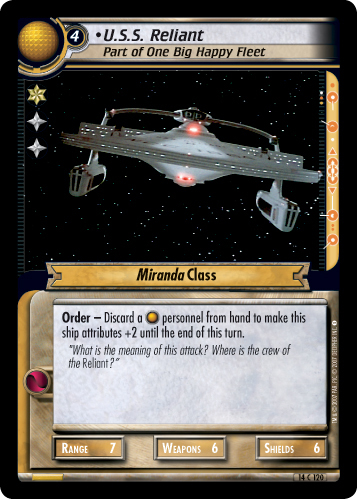 "What is the meaning of this attack? 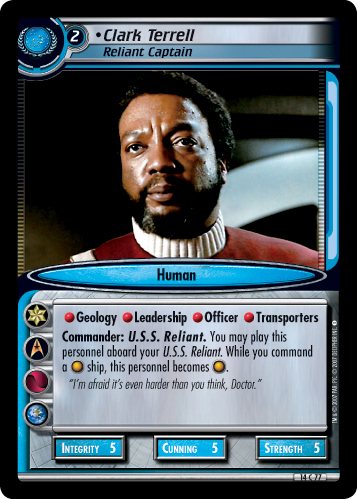 Where is the crew of the Reliant?"